Sweet Centre Restaurant01274 731735work Restaurant - IndianSweet Centre Restaurant was first established in 1964. From the outset it aimed to provide the diner with an authentic experience of Asian cuisine equal to any found on the Asian sub continent. The interiors of the premises provide a welcoming atmosphere typical of Eastern traditions. In addition to an extensive menu the diner can have dishes prepared to individual specification. Our chefs delight in the many specialties they prepare. Bradford is renown for world beating Curries and here at Sweet Centre Restaurant we can offer the best in Bradford. Many loyal customers of Sweet Centre Restaurant have been with us since our opening in 1964 for the ""curry experience"" alone. We are continually receiving accolades for our Asian Cuisine Dishes and are proud to have the title of one of the Top 10 Best Restaurants in Britain. 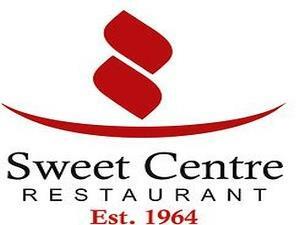 Sweet Centre Restaurant was first established in 1964. From the outset it aimed to provide the diner with an authentic experience of Asian cuisine equal to any found on the Asian sub continent. Mon - Fri 11.30 - 23.30, Sat 08.00 - 01.00, Sun 08.00 - 23.30.